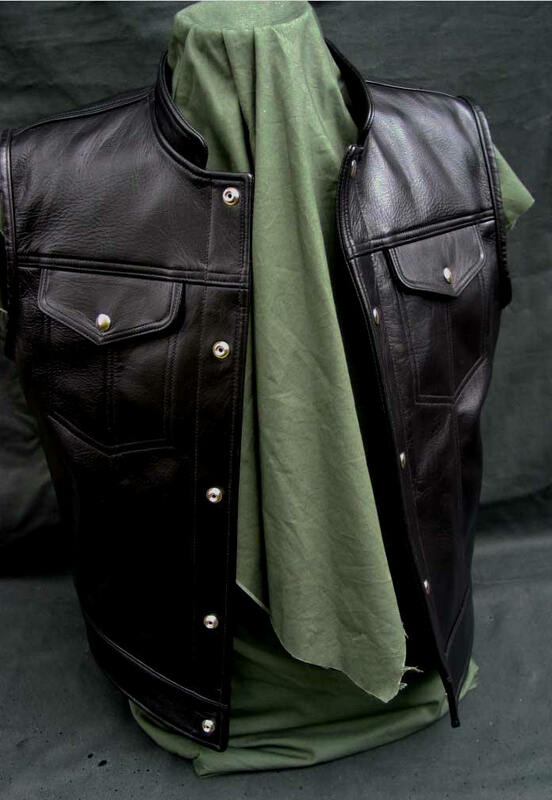 The LOST WORLDS HORSEHIDE SLEEVELESS JEANS JACKET/VEST is made of the same 3.0 - 4.5 oz. 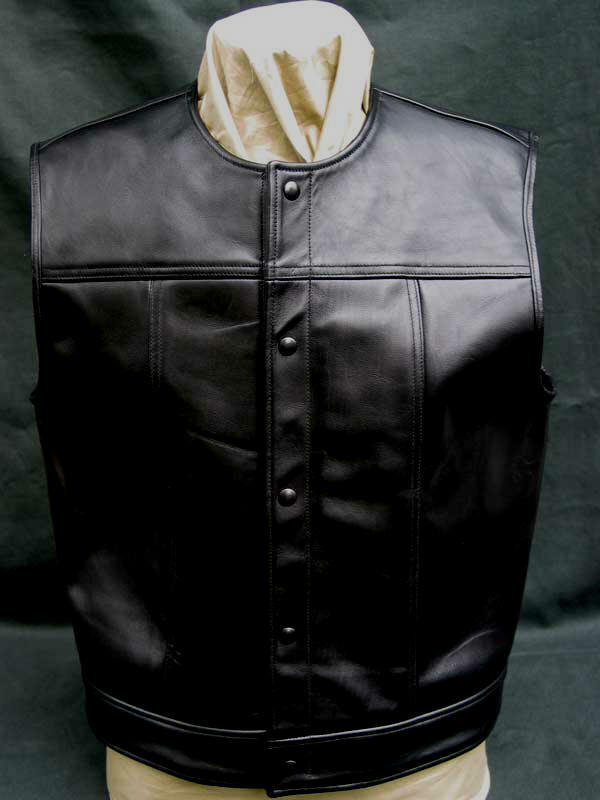 Horsehides (customer preference) used in our peerless jackets. 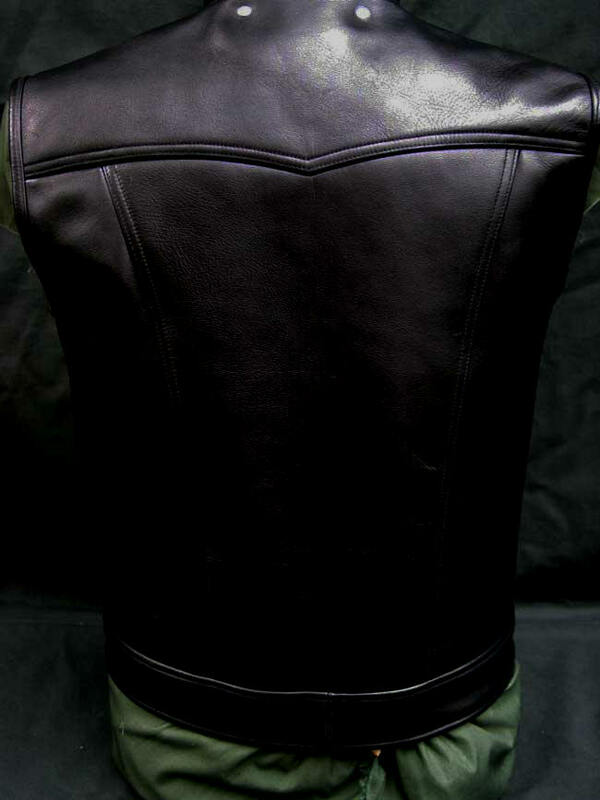 It offers a host of functional features in a typically beautiful, understated design characterized by our famous stitching and detailing. Flannel-lined hand warmer slash pockets or pocket delete to customer preference. 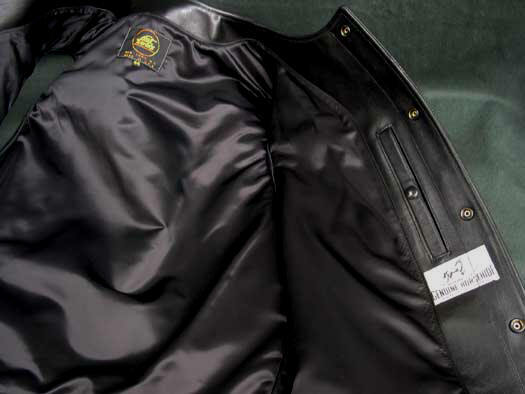 100% Pure Flight Satin Nylon, Interior snapped pocket. American Scovill Brass snaps. 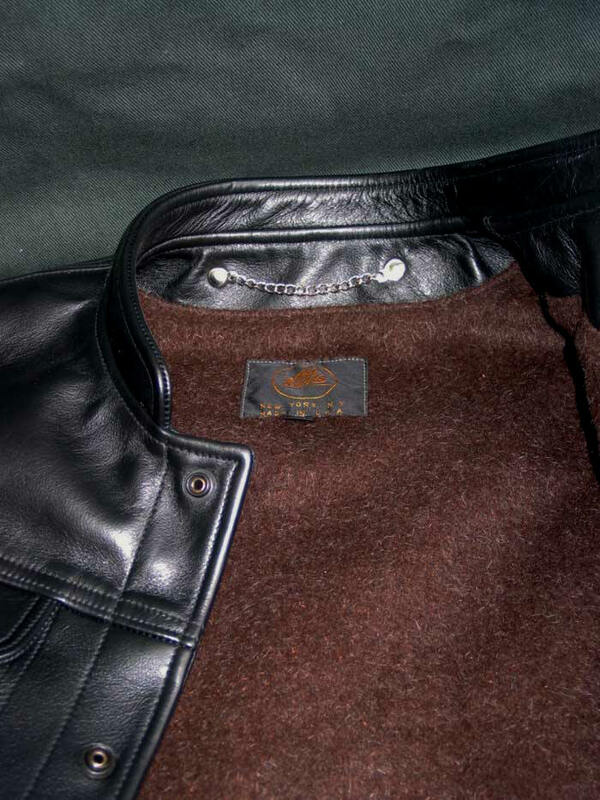 Horsehide label. Riveted hang chain. Easy to wear, to look at and affordably priced. And not restricted at all to motorcycle use. 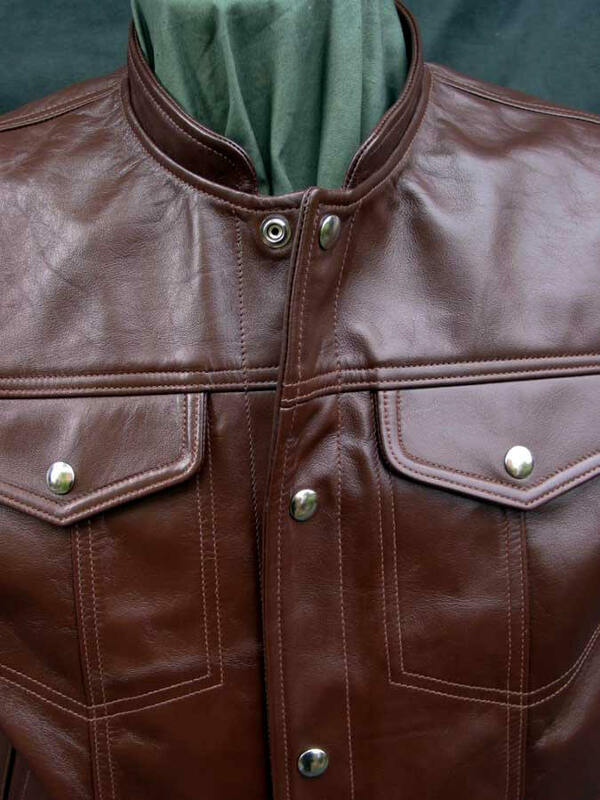 The jeans jacket design makes it a true crossover. 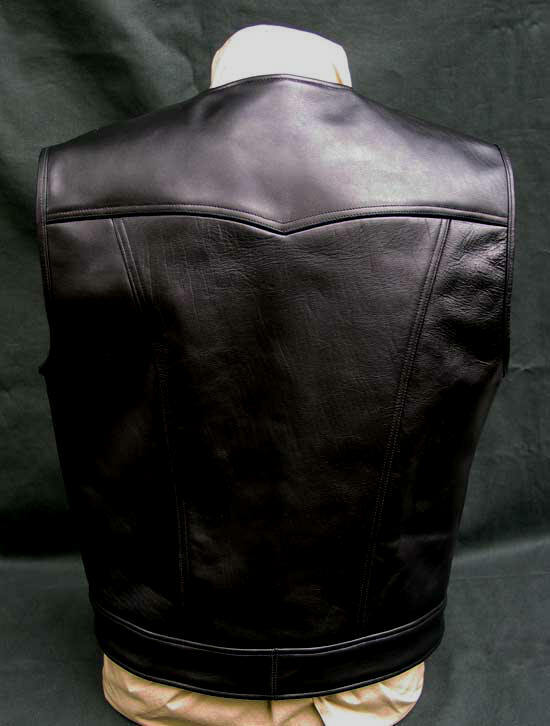 A great alternative to a leather jacket, wear it over a sweater or shirt and acquire thereby admiring gazes by all, because it's different -- our hides, precision and craft instinctively sensed as superior, defining, because of how light interacts with the leather color, finish, grain, with the sewing, because of the proper masculine cut and fit without the frippery and swish that's really disgracing and effeminate if you're an American male. 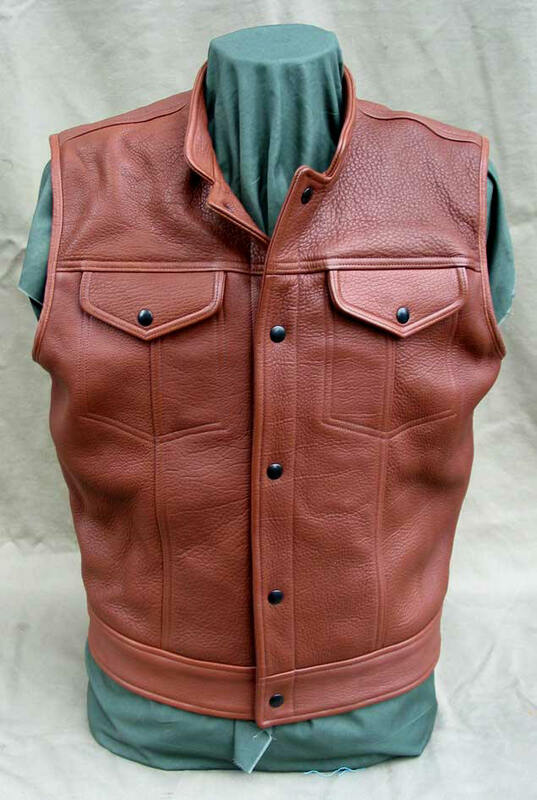 It's not vest as adjunct, it dominates. Yet doesn't make a lot of noise. 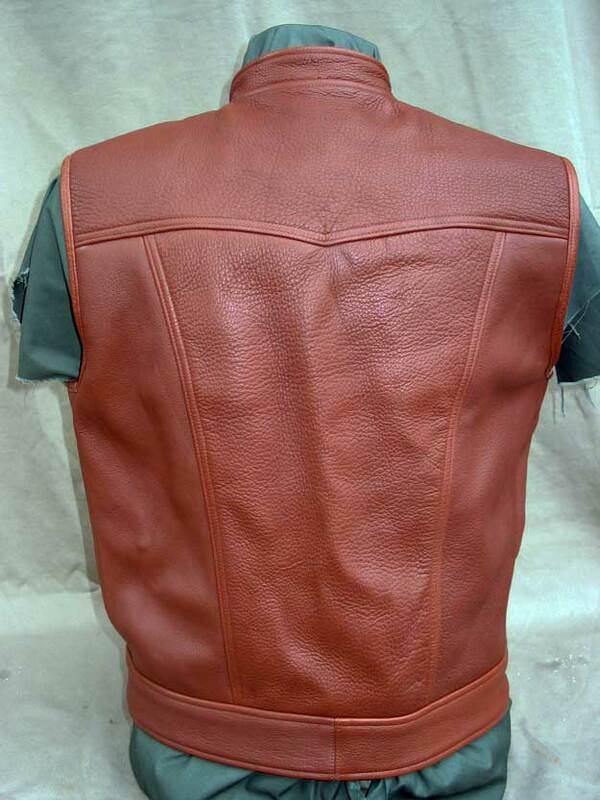 More comfortable than a jacket too because less overall weight. 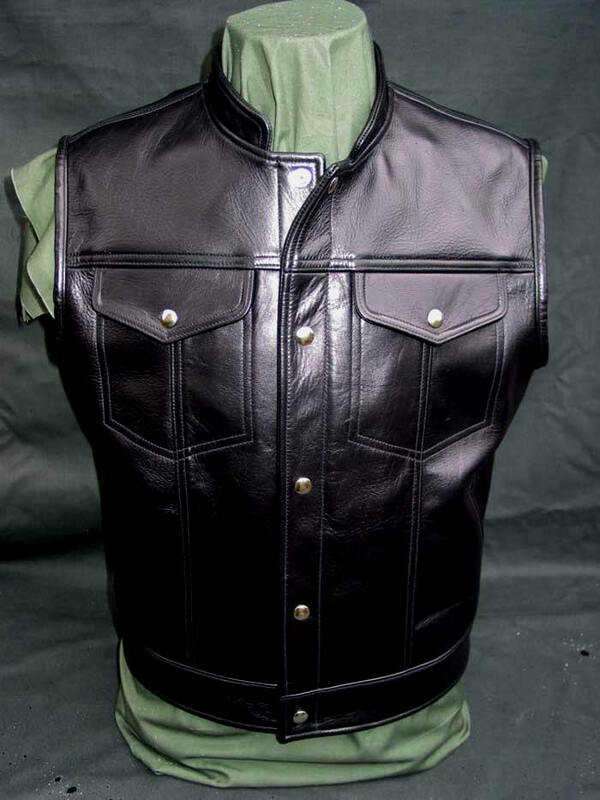 Yet when called on the LOST WORLDS Motorcycle Vest sheds its genteel mien and becomes just typical LOST WORLDS horsehide gear: durable, virtually waterproof, often life- and limb saving. As tough as it is striking. Great chance to get a genuine LOST WORLDS original at a super price. Made In USA by a single craftsman at the LOST WORLDS factory. Absolutely excee"Exceeds any expectations! 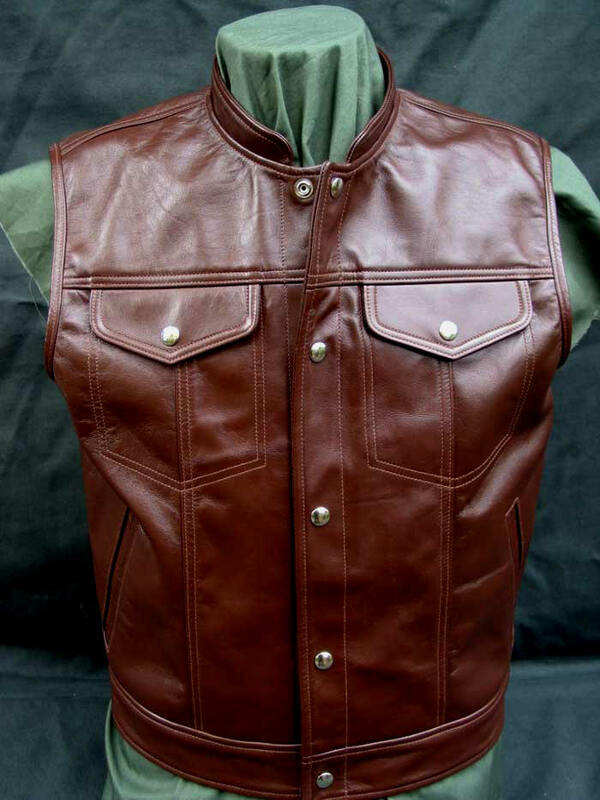 Truly a lifetime vest. Already has 150+ miles today on my motorcycle. I think it’s perfect just like it is. Thanks for making such a great product, there’s only a few of you left. I’m so grateful. 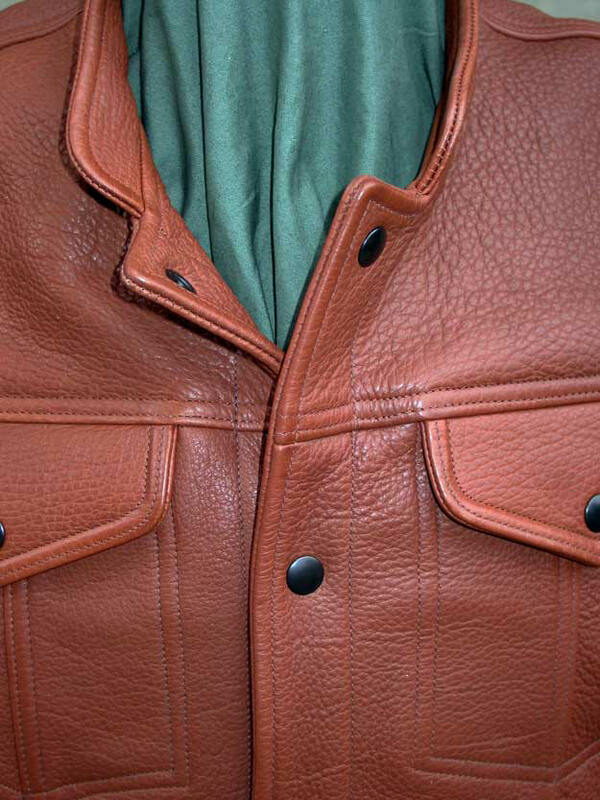 Cheers..."
Black or Forest Green Deerskin or Cognac American Bison. 4.0+ oz. 100% Flight Satin Nylon Lining.